He was born in Vrpolje in Slavonia, August 15, 1883. After apprenticeship in the stonemason’s workshop of Harold Bilinic in Split, in 1901 he entered the Vienna Academy of Fine Arts where he stayed until 1906. Exhibiting with the artists from the Viennese Secession group he acquired affirmation already during his studies. 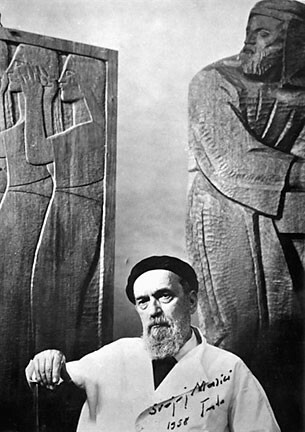 Since 1908 he worked in Paris in his studio, where he produced a considerable part of the grandly conceived architectural and sculptural piece, Vidovdan Temple. These works were repeatedly exhibited and got the highest award at the World Exhibition in Rome in 1911, where they won the first prize for sculpture. 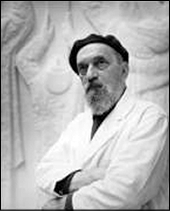 Ivan Mestrovic stayed for four years in Rome studying sculpture of antiquity. He was totally infatuated with Michelangelo, whom he considered the greatest sculptor of all time. During World War I he exhibited in England in 1915, at the Victoria and Albert Museum. 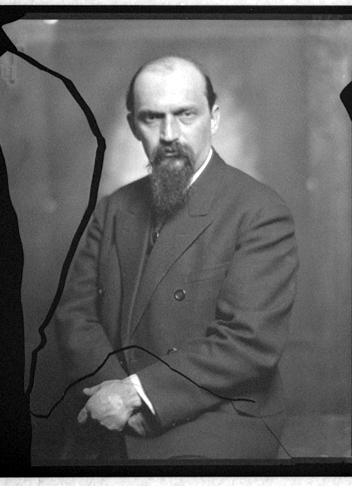 After the war, he came to the Kingdom of Serbs, Croats and Slovenes, where he became a professor and later director of the Cultural Institute in Zagreb. At that time, Ivan Mestrovic had very close contacts with the Yugoslav Royal Court and personally with HM King Alexander I. During the period from 1932 to 1934, by order of the first man of the state, solely for the Royal Compound space, Ivan Mestrovic did a series of works aiming at the promotion of the state idea of ​​integral Yugoslavism. The King’s effort to create a virtual Yugoslav tradition, mirrors in Ivan Mestrovic’s visualization of joint mythology, the origin and history of the Yugoslav nation. The concept of this unique sculptural work should have had a vision of an ideal Yugoslav state under the leadership of HM King Alexander. 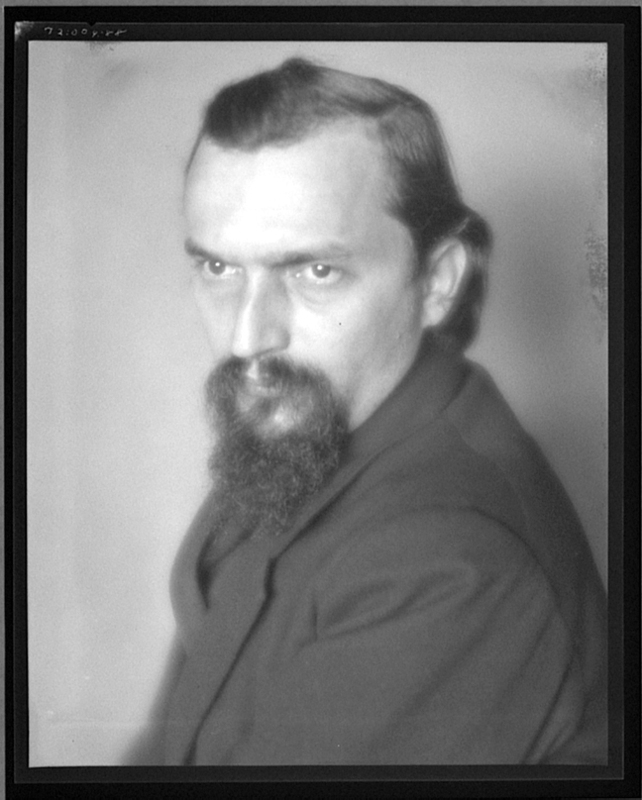 After the Second World War, Ivan Mestrovic left for the United States. Since 1946 he worked as a professor at Syracuse University and later became a professor at the University of Notre Dame. He died in South Bend, Indiana, in 1962.